"Rick and family, my, my my, what a treasure we have lost. I could tell he was sweet, gentle teddy bear. What smart, clever and funny guy. I always enjoyed watching your show, to see who would trick next. My sincere condolences go out to your family. "We will all miss you Mr Harrison and I will not stop watching your show as long as it is on I watch everyone of these pawn shop stories... And I won't stop I don't care if its a rerun I still get the idea that I need to watch your show......I am sorry you are gone and you will be deeply missed by a lot of people......"
"Enjoyed watching Richard, his son, grandson, and the others on the show. He clearly came across as a hardworking man who loved his family and his country. May he RIP." 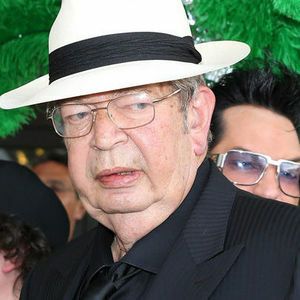 "Dear Mr.Harrison,I'm still missing you.You made PAWN STARS very,special and funny,as well. The show is still great,but it is truly NOT THE SAME without you in it! You brought wisdom,classiness,comedy and tearful moments as well to the show! And for that,I thank you for the time myself and other viewers had to share yourself with us. Rest In Peace,Mr.Richard Harrison,Jr. You will always be loved and never forgotten. Thank you for your presence on the show. You are truly a one of a kind and there's now a void in the show. But,I watch anyway,in honor of you,Sir. Wish you were here......"
"Luved to watch the show just to see what he would say--"